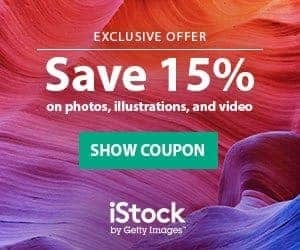 Who buys stock photos? The answer to this question can be both long and short depending on how you look at it. Designers and Producers are the main consumers of Stock Photography and these images can be found across a plethora of today’s modern media! From the BBC’s use of Getty Images for their news articles through to the home designer working on a personal project, the question shouldn’t be Who Buys Stock Photos, rather it should be: Who Doesn’t! Some of the biggest players across the globe use stock photos in one form or another. That advert you see on the side of the bus every day? Stock Photos. The images of scenery on your favourite news websites? You guessed it, Stock Photo’s too! You’re going to find that graphic designers, marketers, publishers and business owners on every level use stock photography in one way or another and there’s loads of great reasons why! While some companies (particularly big international ones) run their own custom photo shoots to get imagery for their business -mainly for their marketing and branding efforts-, this can be expensive to produce. Stock photos are the solution preferred by small to medium businesses whom work on tight budgets, as they enable them to create professional and compelling graphics without spending thousands of dollars. This does not mean big renowned brands stay away from it, rather the opposite. Many important companies use stock photography too, because even when they may be able to afford custom photos, stock images save them time: they are already created and ready to be downloaded and transformed into a cool ad or social media post in no time. The same goes for publishers and bloggers. 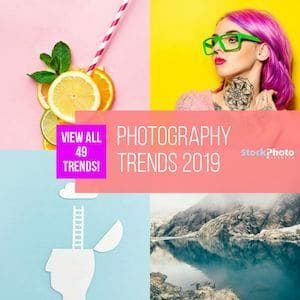 Stock photos enable editorial use and there's even collections of imagery that is only available for editorial purposes (learn more about editorial usage right here). So it is a great resource for bloggers and small publications to find professional images to accompany articles that fall within their budget. Both modest and big publishers also turn to stock photos for celebrity photos and other famous or newsworthy content, because it's hell of a lot easier and cheaper than scheduling a photo shoot with a renowned actor or hiring an on-site photographer, without mentioning there's many private events only a reduced pool of photographers can access, including those whom will offer their photos in stock agencies. Check out our What Are Stock Photos Used For article here for some great ideas on how you can use your new stock photos! That's All Well and Good, But How Do Stock Photos Work for Me? Well for a start, who likes waiting? With stock photography you could have the images you need for your advertisement, facebook posts, publications and more in almost an instant, as soon as the transaction is confirmed your images are ready to download and use in any projects that you can think of! No waiting for your photographer to deliver the goods. Another awesome point is the price of Stock Photography. Depending on where you look, Stock Photography can be found extremely cheaply. Sold as individual images they range between $1-$15 each, and as part of larger subscription services this cost gets reduced to under $0.50 per download, ensuring you’re never without the images you need, when you need them at a price that you can afford! Awesome! So Where Do I Buy Stock Photos? Stock agencies are a great place to get all the stock images you need, coming with huge libraries that can be tens of thousands or even hundreds of thousands of images in size, giving you massive amounts of choice when it comes to selecting your photos. Not only that but with stock agencies you can be assured that you have the legal rights required to use your freshly downloaded images in whatever it is that you’re choosing to use them for! These companies take in photo submissions from photographers, review them for technical quality, legal status and commercial value, arrange them in online catalogs with themes, topics and collections, and offer them to you, commonly giving you a search engine tool to help you easily find the right photo you're after. Moreover, they give you images under flexible license terms to cover most of your usage needs, such as the popular Royalty Free license most of them use. Stock agencies take care of absolutely everything, the only thing you must do is pay for the images and make sure you follow the licensing terms. Easy, fast, and cheap. Want to check out some of our favourite stock agencies? Read on to our Top 5 Stock Photo Agencies! For detailed info on all main stock agencies, take a look at our Agency Section where you'll find reviews as well as coupon codes for discounts on some of the most popular products on the market! Now you know who buys stock photos, you also clearly see why they do. Are you eager to join them? All you've to do is choose an agency, select a buying method and start downloading great photos.